Born and raised in San Diego, Stephanie Thomas is the true essence of a California girl. She specializes in color, hair cutting, extensions and Keratin smoothing treatments, producing that effortless, easy to maintain look we all long for. As a graduate of Paul Mitchell San Diego, Stephanie mastered a wide range of skills and abilities. After completion in 2006, she moved to Los Angeles to work at Juan in Beverly Hills, where she perfected her skill and craft. Stephanie then brought her talents back to San Diego and worked at A Robert Cromeans Salon for three fulfilling years where she enhanced her portfolio with multiple fashion shows and events. 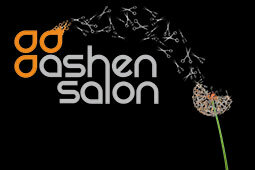 Stephanie then began her journey at Ashen Salon in 2011. She is certified in the art of extensions and has an eye for precision, matching the hair to your own in an organic flow. Stephanie’s biggest strength however, is her ability to listen. She caters to your needs, style and comfort level as your stylist. Stephanie’s versatile abilities appeal to a wide range of clientele. With customers ranging in age she caters to them all. Your hair appointment should be a pleasant, spa like experience. You will leave rejuvenated and refreshed after the complimentary scalp and shoulder massage, allowing the stress of daily life to melt away at the touch of her hands. Whether you’re going for glitz & glam, or a natural laid back feel, you will never be disappointed with Stephanie at your service!